It’s just one week ago that the official Jelly Bean 4.1.2 update reached the Galaxy Note bringing in increased performance, brand new features and the well known Multi Window feature. 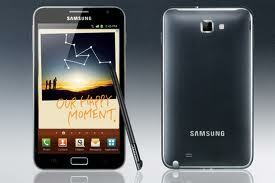 Now Samsung uploaded on their opensource site the Source Code for Android 4.1.2 for Galaxy Note. If you don’t know what the source code is, probably it doesn’t have much use for you either. Source Codes are especially used by Android developers to improve Custom ROMs for the specific device. The Jelly Bean Source Code is available from Samsung at opensource.samsung.com. Android is an opensource project so Samsung has to upload these for free for anyone that wants to download them.